Lot Size: 4008 sq. ft. 58.7ft x 120ft "Corner, Irregular, Lane"
ONE BLOCK FROM ELEMENTARY SCHOOL - CLOSE TO DOWN TOWN - UNIQUE DESIGN: 517 St. Mary Street provides 1641 sq ft of incredible living space! Features a very private fenced yard with backyard patio area, flower gardens, trees & shrubs- almost like living in the country but you are right in town!You will enjoy the unique design of this home with enclosed porch area, grand foyer leading to an open concept living room, dining room and central kitchen with large peninsula - perfect for entertaining and serving your families needs. 2 bedrooms on the main floor with very large 4 pc bathroom with loads of storage space and laundry room area. Focal point of the living area is the stone wood fireplace with a quiet reading area adjacent to the fireplace area. Patio doors lead to a rec room area with large windows giving plenty of natural light. You will also find the convenience of the attached garage doorway as well as a doorway to the back yard patio. You will enjoy this turn-key home with updated (2016) stainless steel General Electric appliances, washer, dryer, fridge, stove, microwave and BI dishwasher. Also, in 2016, central air conditioning, dehumidifier and RO filter was added to the home. PVC Living room bay windows and the bedroom windows were installed. Seller is willing to sell this home fully furnished. All furniture was purchased in 2016. EF furnace and water heater has also been updated. Basement area houses all the utilities and provides plenty of storage with a one piece bathroom in the basement. This home isn't a traditional style. It is a unique style to the Town of Esterhazy and being located on a corner Lot, you really have everything that you would want. The attached, insulated garage with concrete driveway is a great feature to this home. Call your listing agent today to book your personal viewing. 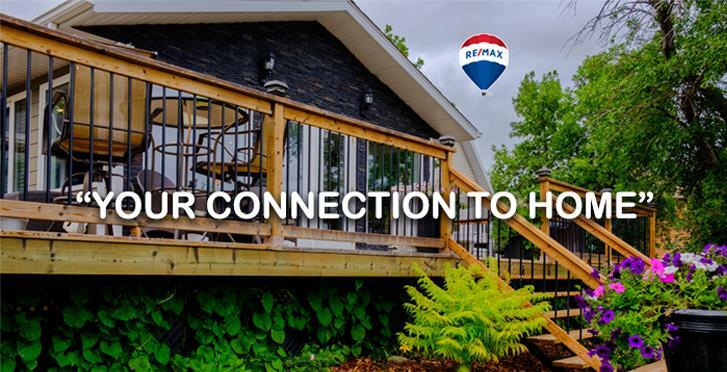 Call your "Connection to Home" today!